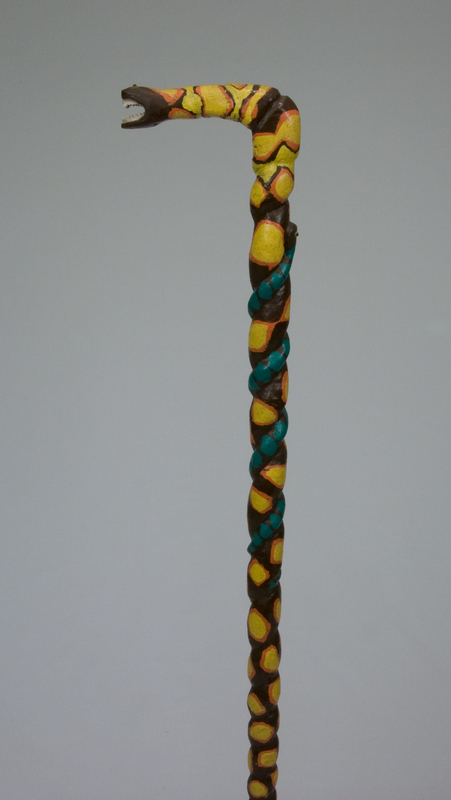 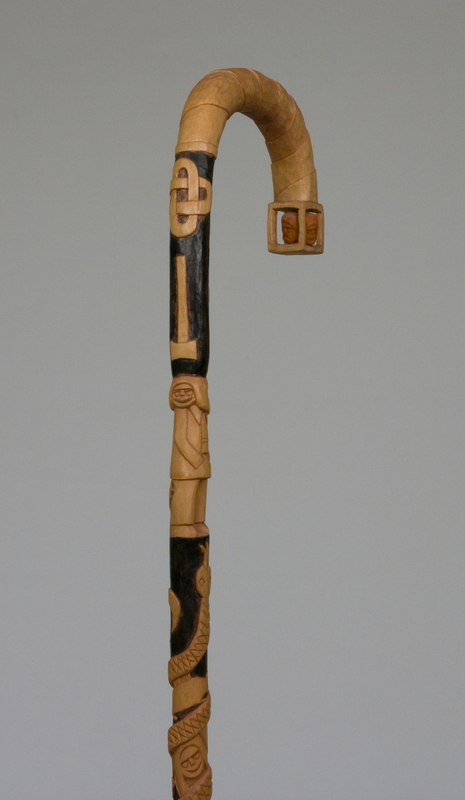 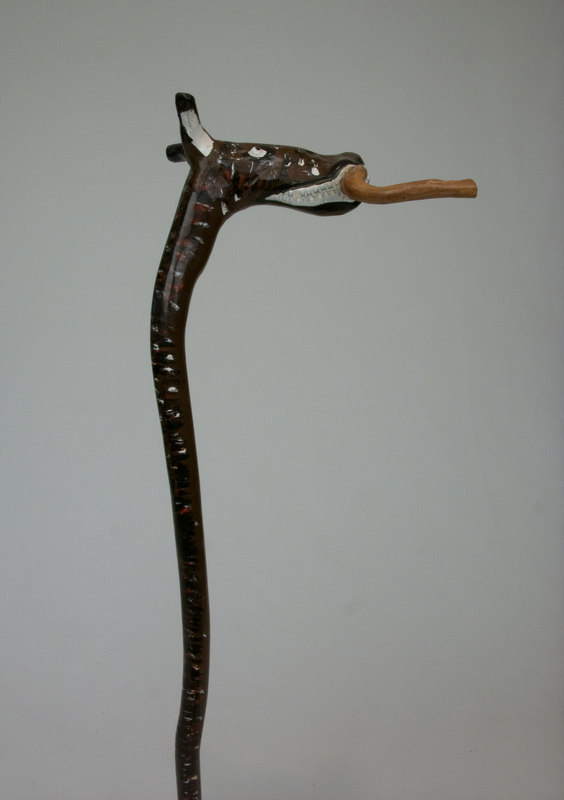 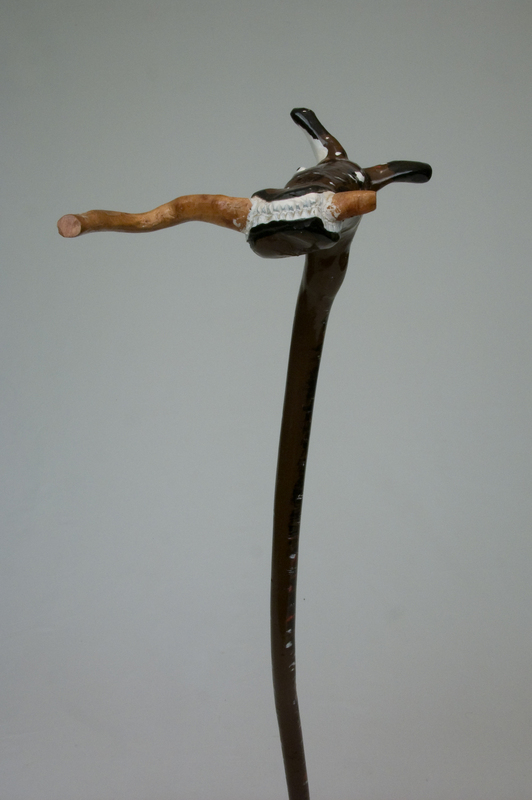 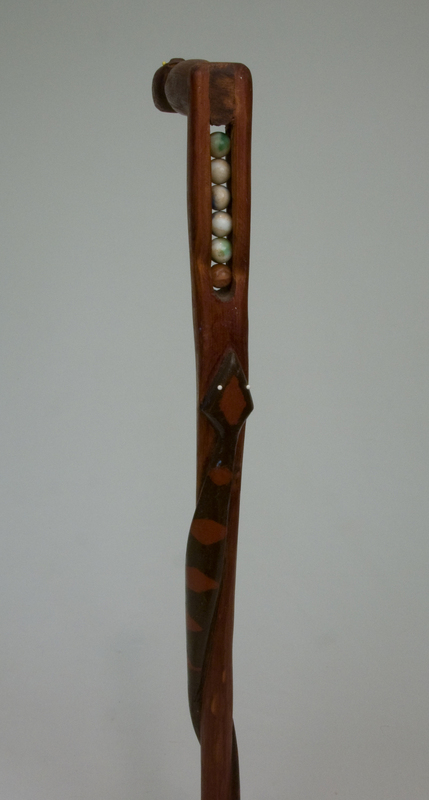 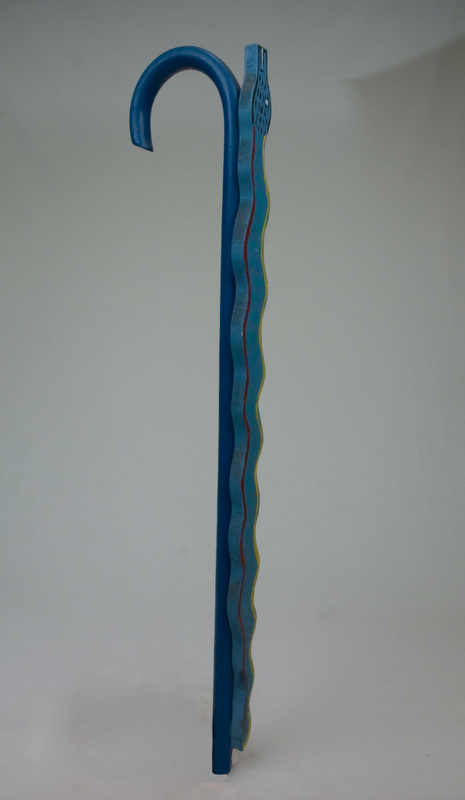 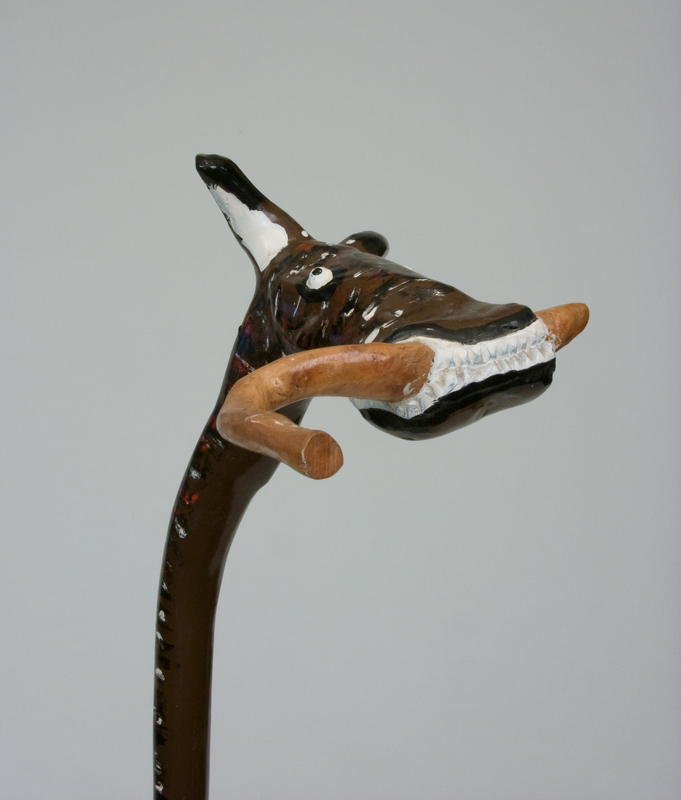 The selection of canes and "sticks" from our collection include works by Kentucky artists' Carl McKenzie, Denzil Goodpaster, Tim Lewis, and Henry York. 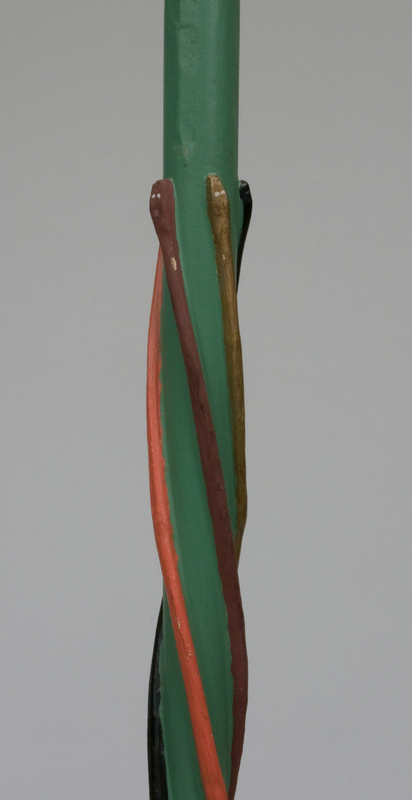 We were fortunate to purchase examples of fine work not only from the artists' themselves but Larry Hackley and David Good, as well as auctions such as Garth's in Columbus, Ohio and Kimball Sterling in Johnson City, Tennessee. 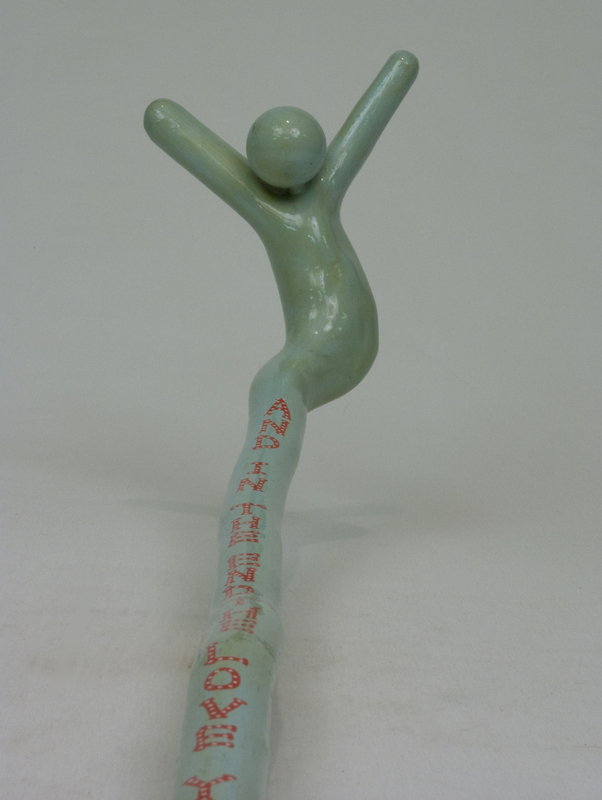 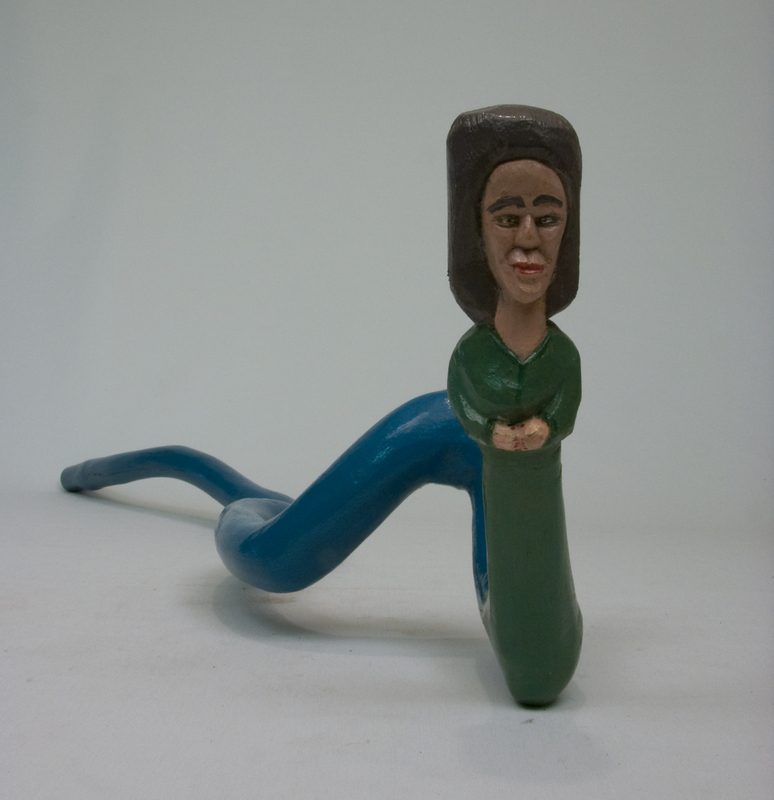 Some are whimsical the product of imagination while utilizing the natural form to convey a snake or a dog with bone. 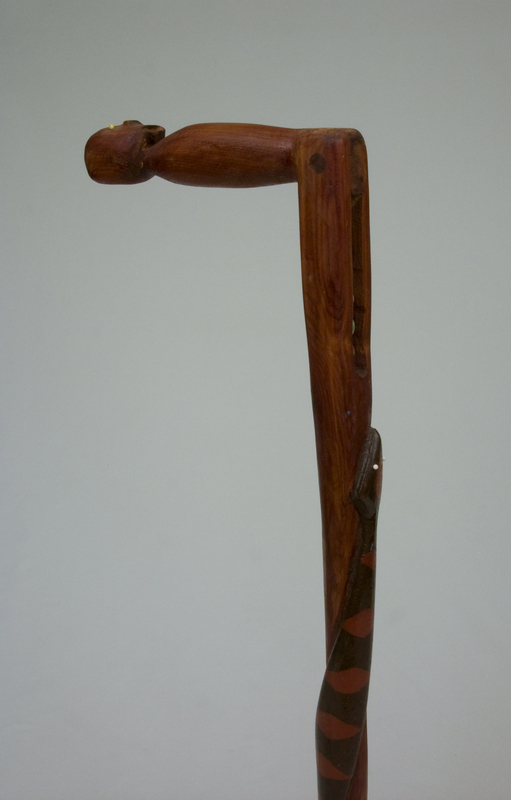 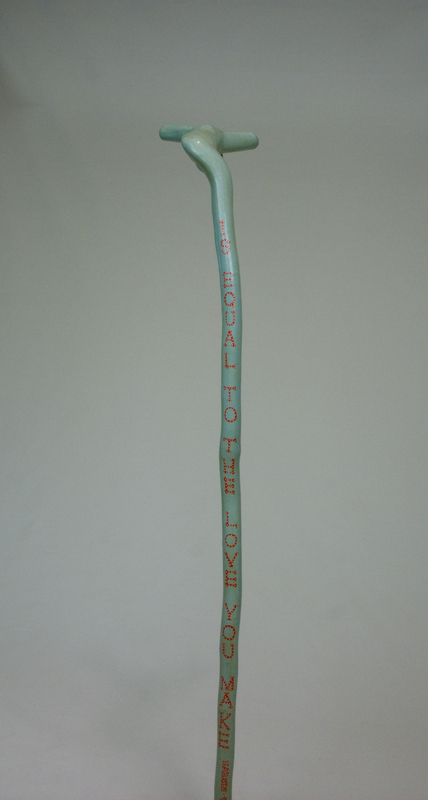 Others portray skilled technique honed over years such as one by Reverend T. A. Hayes or the unsigned cane with alligator. 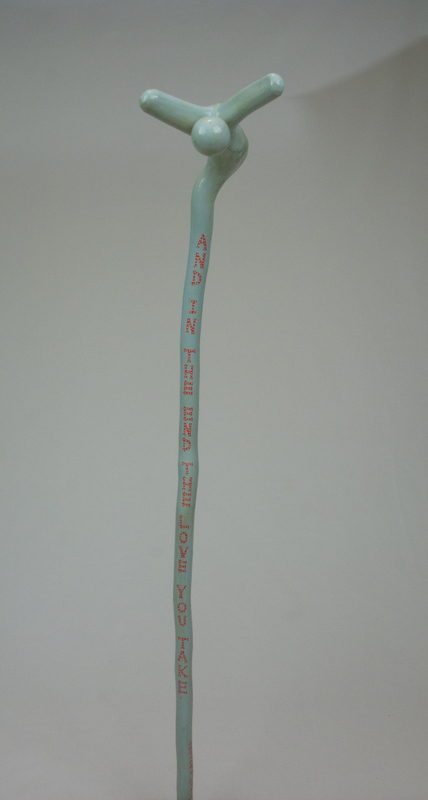 Contemporary concepts and stars are paid tribute by Larry Hamm's "Elvis" and Gary Hargis's "The End" an homage to the song by the Beatles. 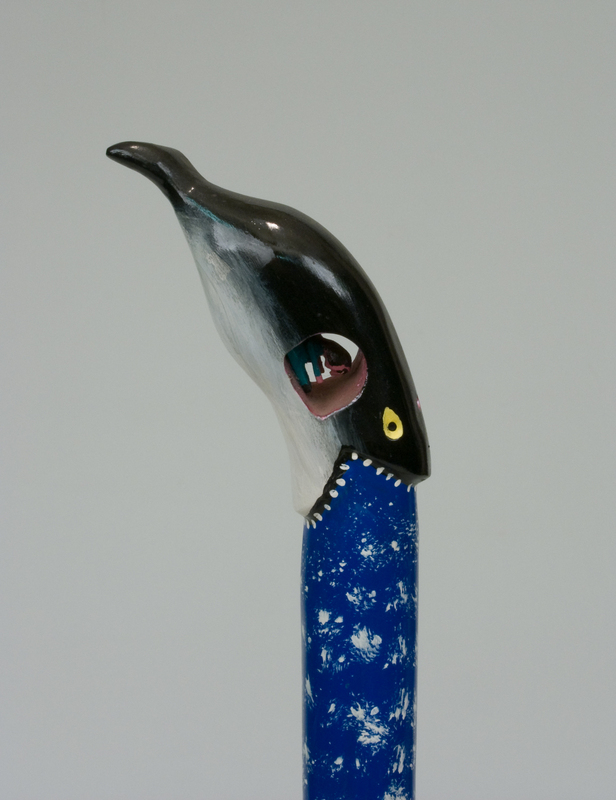 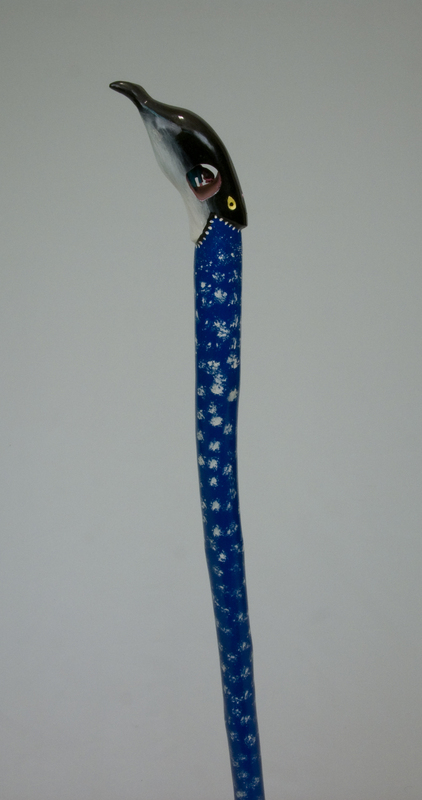 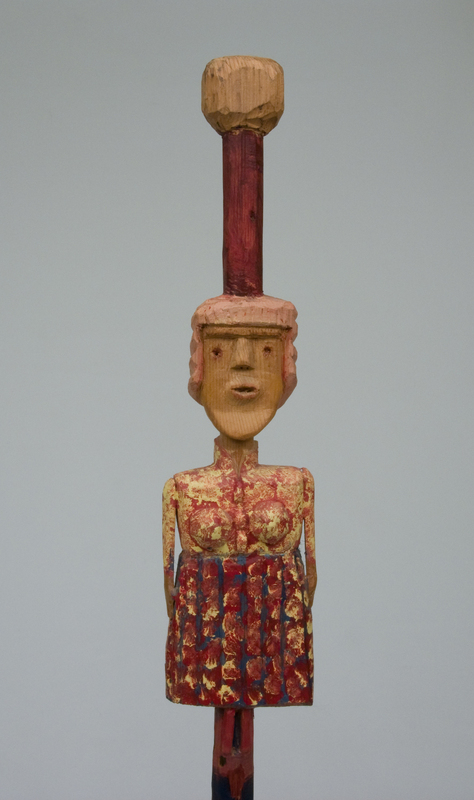 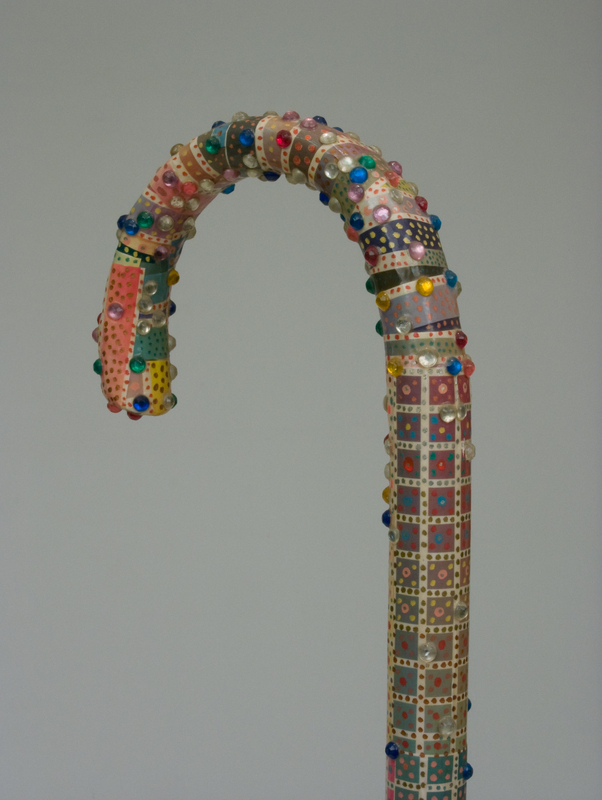 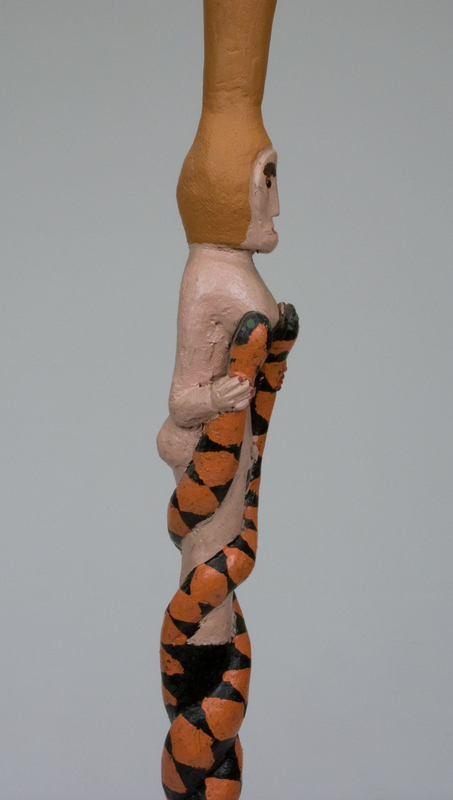 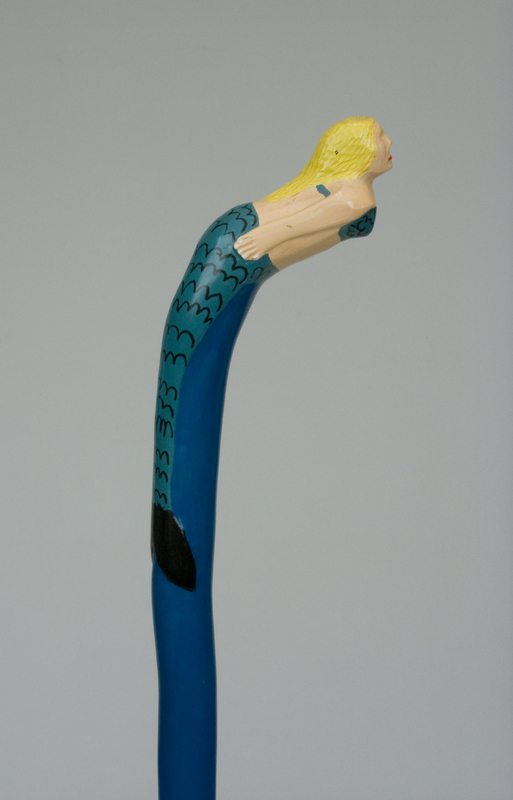 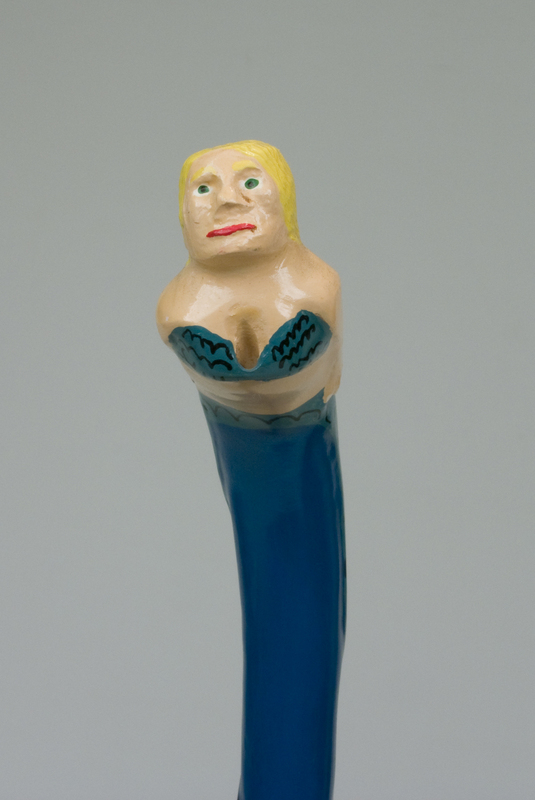 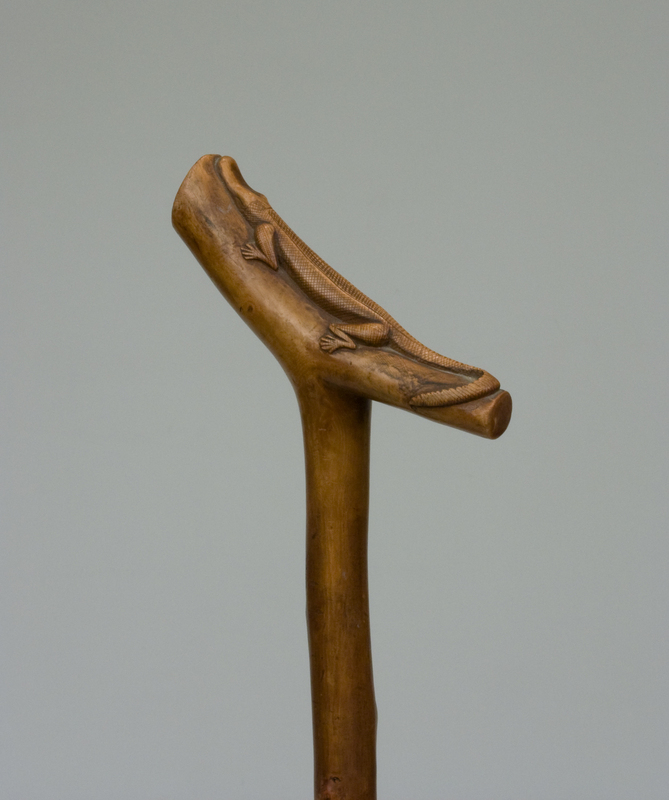 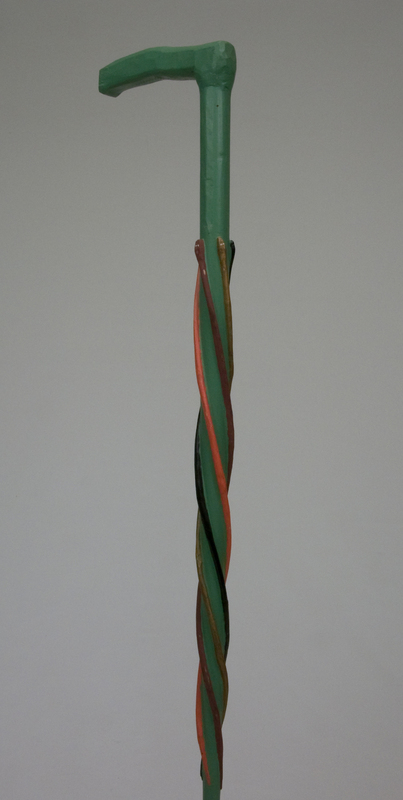 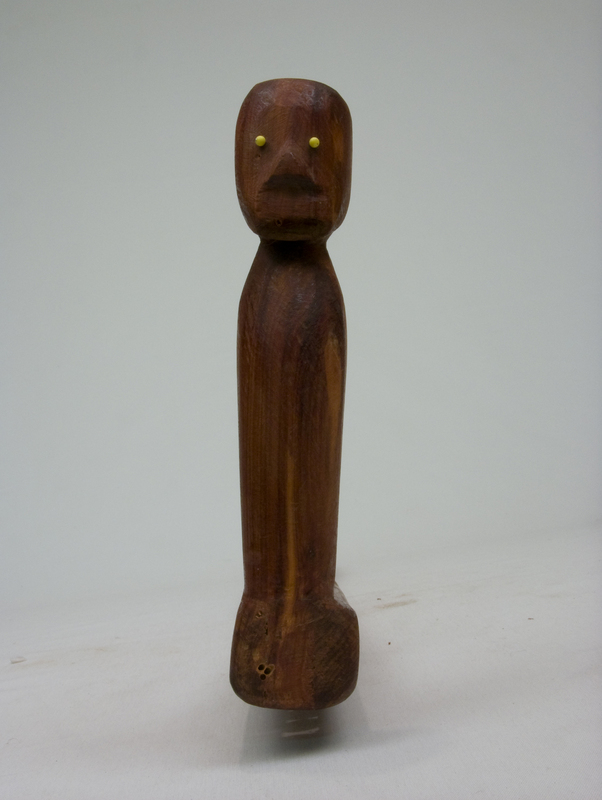 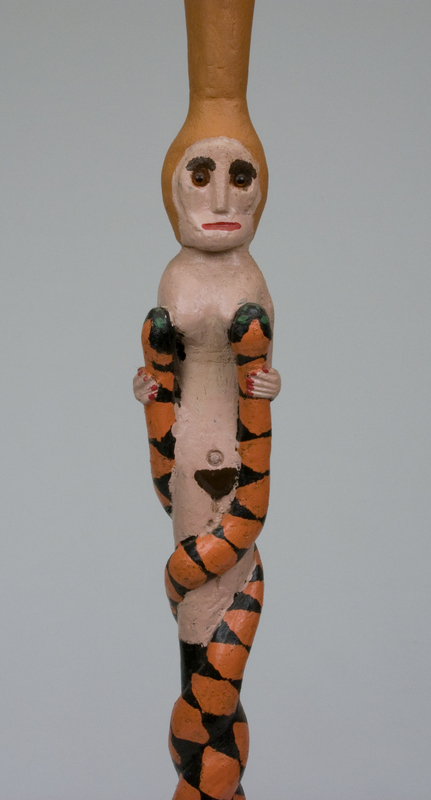 George H. Meyer,the author of American Folk Art Canes, a rich, extensive study aptly described canes, as "personal sculpture."